Stay on-trend with this handcrafted sandal. 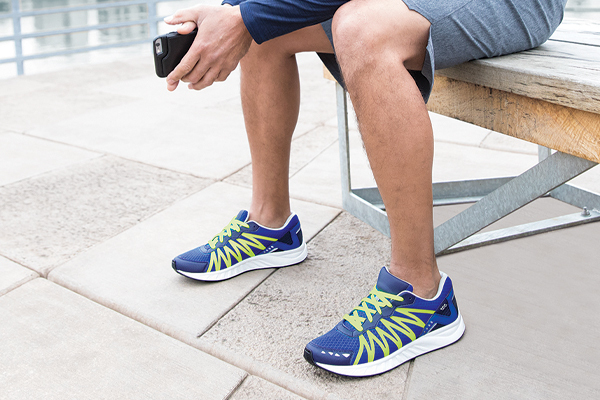 A soft contoured insole and shock-absorbing sole keep you in extensive comfort. An adjustable buckle on the central toe-post and an SAS EZ Strap around the ankle provide a customized fit. Initial fit should allow the foot to settle naturally into the sandal's foot bed so that your foot sits inside the edge of the foot bed all the way around. Adjust the instep strap to be comfortably secure over the foot. The front toe-post buckle adjusts as needed. Contoured Insole: A lightweight insole is covered with a full-length shock-absorbing cushion and shaped to the natural arches and curves of your foot for comfortable support..
SAS "EZ Strap™": Adjustable strap to customize the fit of the sandal to your foot, to adjust as your feet swell during the day and to take off your sandals easily.